We’re always asked “how can I keep my car running for years?” our response is always…maintenance and making a few simple checks in between services. How can I get my car up to and over the 200,000 kms mark? It’s very likely that you know ‘someone’ who has had their car for years, never had any ‘major’ issues with it and thinks that their car is the best thing since sliced bread. That’s great for the person who owns the car, what about the rest of us who only wish we could say that about our cars. The fact is, some cars are just great, while others are just… not so great! We’ve all heard the joke about a car being ‘built on a Friday afternoon’, and it’s true, there are some cars that we’d have to file under this title, however these are far and few between as build quality of most cars is generally of a very high standard. The secret is that proper care and maintenance plays a huge role in helping your car continue in good health for many years. It’s that simple. 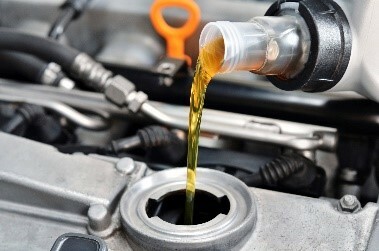 Our advice to you would be that in order to get your car up to and over the 200,000 kms mark, it basically comes down to proper care and maintenance, not just by regular servicing but also by thorough inspection and use of appropriate fluids, including engine oils and automatic transmission fluids. Make sure that the correct type of engine oil, automatic transmission fluid, power steering and brake fluid is used – however, the best oil and fluids in the world will do your engine or automatic transmission system no good if you never change it. Keep to the manufacturers scheduled servicing, change the items recommended by the manufacturer at each service interval and ensure that the Service Technician who ‘looks after your car’ is doing just that, he’s looking after your car! By that we mean, at the time of servicing, inspecting for wear and tear items on your car and noting if any items are showing signs of wear, for example, inspecting the water pump, is it leaking? How is the power steering pump performing? How does the suspension appear? Is the brake fluid in need of replacement? If costly repairs are to be avoided and or budgeted for, wouldn’t it be good to monitor these items and replace them only when needed? This would avoid large service invoices as repairs can be completed on your timescale not because the repair has been identified as in need of urgent requirement. This is the most important part of maintaining your car. Use the correct engine oil as specified in the manufacturer’s handbook for your car and replace the oil filter – this will ensure your engine runs smoothly for many years. We recommend: Checking your car’s engine oil level at least monthly to ensure the oil level stays within the engine’s specifications. If you are unsure, pop by the workshop, one of our technicians will gladly check the oil level for you in between services at no cost. It’s as important to ensure the automatic transmission fluids are replaced in accordance with the manufacturers’ recommendations as it is to replace engine oil. Automatic Transmission Fluid does not need to be replaced as quickly as engine oil, however it degrades the same as engine oil and becomes ‘sludgy’, which can cause internal damage. We recommend: Not delaying the automatic transmission service. Check your service book or call us to confirm when the automatic transmission service for your car is due as it differs from each vehicle. Brake fluid is a hydroscopic fluid, which means that it absorbs moisture. The more moisture in the brake fluid the less efficient the braking system will perform. We recommend: Annual checks of the brake fluid to monitor the moisture level. Particularly for our climate, brake fluid often requires replacement due to the humidity on the Sunshine Coast. The coolant system helps maintain correct engine temperature and protects internal components of the engine, preventing corrosion and deposits from building up. If the coolant level drops it may cause the engine to overheat, which may cause significant engine damage. We recommend: Flushing the coolant system as per the service schedule. We also recommend checking the level of the coolant at the same time as when you check the engine oil. The ‘diff’ (differential) ‘drives’ the wheels while allowing them to rotate at different speeds. In vehicles without a differential, both driving wheels are forced to rotate at the same speed. It is important to replace the diff oils in accordance with the service schedules to ensure smooth running of the drive train. We recommend: Replacing the diff oils as per the service schedule. Anything with moving parts needs grease! Including the wheel bearings, u-joints, balls joints, some suspension components and even door mechanisms. We recommend: Ensure that the ‘moving’ components are greased as part of the annual service. The harsh sun in our region can cause interior trims to discolour and degrade causing the car to appear older and devalue quicker. We recommend: If possible park in the shade, use a sun shade and apply a UV protectant to prevent interior trims to dry out. Regularly clean the exterior of your car and apply a good quality wax at least every six months. Ensure to wash the underside of your car to remove any sand from driving close to or on the beach. We recommend: If possible wash your car weekly and apply a good quality wax every six months, once before summer and again before winter to help protect the paintwork. We hope you’ve enjoyed reading our top tips, please feel free to call us for any further information, or register to attend one of our information events where we demonstrate these tips. Happy and Safe Motoring from the team at SVS Autocare.